Budget troubles have not escaped the peninsula: Palo Alto has proposed $5 parking fees at Foothill and Pearson/Arastradero preserves. Foothill restricts access to Palo Alto residents only; it will be interesting to hear the reaction from the city. 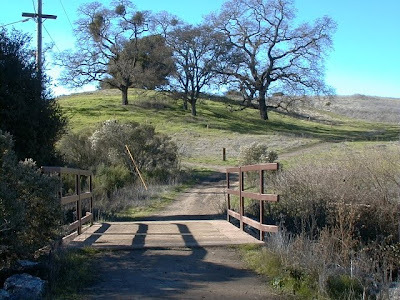 $5 is a steep price to pay for access to Arastradero. I wonder if cyclists seeking to avoid the fee will park in adjacent neighborhoods and ride into the preserve. Visit Arastradero now for free while you can! 6/19/10 UPDATE: according to news reports the City of Palo Alto has decided not to impose parking fees. Community input favored keeping the parks free. Yea!